Note: I would like to share with you through these few words, photographs and hyperlinked websites, a 3 Dimensional experience as though you were actually there with us. Click on any photograph and it should enlarge to a different size (view image in cursor list)….. at least half screen or size full screen. It will be clearer in detail than the photo on the post. It will be as if you were really there looking at the actual scene. You are an arm chair traveller with us. • We then went to Vancouver airport and flew to Toronto …. A five hour trip. One of our old friends, Yolanda actually met us at us at ‘Arrivals’. It was wonderful to see her after 25 years. We were neighbours, living on acreage at Chambers Flat in the mid 1970’s. Yolanda had returned home to Canada in the mid 1980’s. Yolanda acted as our personal assistant from getting possession of our hire car and getting us to our hotel. Then she took us out to dinner. As we said we wanted to see Niagara Falls, Yolanda contacted friends on her mobile phone who lived up there to meet us and ferry us around for the day. • From Niagara Falls, we drove up back through Toronto 2.50 hours up North to Muskokas (the cottage lake district) to pick up our 28 year old daughter Claire. She is a primary school teacher who had been living and doing volunteer working in Canada from June 2007 till June 2008. • When the summer finished Claire extended her visa and was accepted as an instructor for their Year Round Outdoor Education Program. 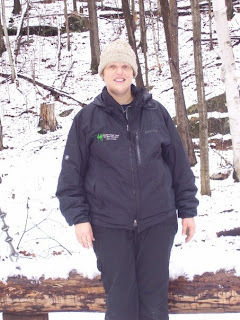 She received a lot of on the job training and was then able to teach canoeing, kayaking, high ropes, low ropes, wilderness survival, etc during the autumn (fall) and then after the joys of experiencing snow for the first time was taught how to cross country skiing, snowshoe, broomball etc. to the many school and weekend retreat groups that utilised the facility. • See the website for Pioneer Camp. There is a lot of beauty and joy in life …. I wish share with you a very small portion of this. See the few photos below and see the Blog Site of Photographs of our experience of the Ontario Pioneer Camp over three days we were there. Our 28 year old daughter Claire at home …. she has become an official Primary School teacher with a one year contract at a local school in 2009 …..
One of the chalets that the campers lived in during the summer (this was Claire’s home for 6 weeks-the bunk on the left) …..
Camp Farewell to Claire who had been a volunteer at the Camp for a whole year ….. she was presented with a cake and a Canadian Flag …..
We had a funny experience in February 2008. This was four months before we due to go to Canada to see Claire. Harriet and I were down at the Gold Coast (Queensland, Australia) in a park reading under trees with our shoes off in February 2008. 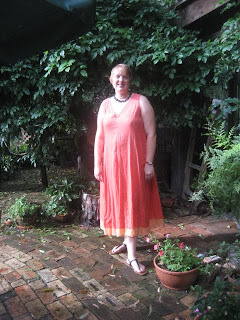 I had been writing e-mails to Claire in Canada every week and I copied this photograph into the e-mail to keep her informed of our Australian situation. She wrote back and said how she was amazed to see us with our shoes off. There was five feet of snow outside her front door and they had to keep shovelling the snow to get inside. The difference between summer in Australia and winter time in Canada!! Whilst we there, we went to have lunch with the Zielonkos nearby. Claire had got to know this wonderful family with their two wonderful girls. I trust you enjoyed looking at these photos of the Ontario Pioneer Camp ….. I trust they are a celebration of beauty and joy in life. Enjoying the impact of one focused detail of life has to be counterbalanced with the big picture of life. Life is a journey and not a destination.